Chicken Cashew Crunch Wraps with cabbage, snap peas, carrots, lettuce and onions dressed in a creamy vinaigrette and wrapped in a tortilla. I seriously can’t believe I haven’t shared these Chicken Cashew Crunch Wraps yet. They were probably the first homemade wraps I ever had, and all credit for them goes to my mom. She’s made them for our family for as long as I can remember and we LOVE them. 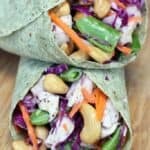 The snap peas and the cashews are my favorite part…and the rest of the ingredients fit seamlessly together to make the most delicious, crunchy, chicken wraps. 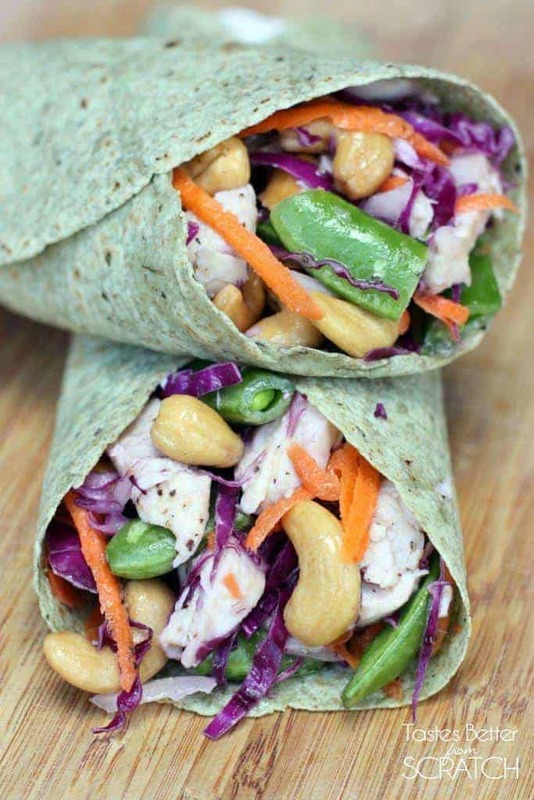 Chicken Cashew Crunch Wraps with cabbage, snap peas, carrots, lettuce and onions. 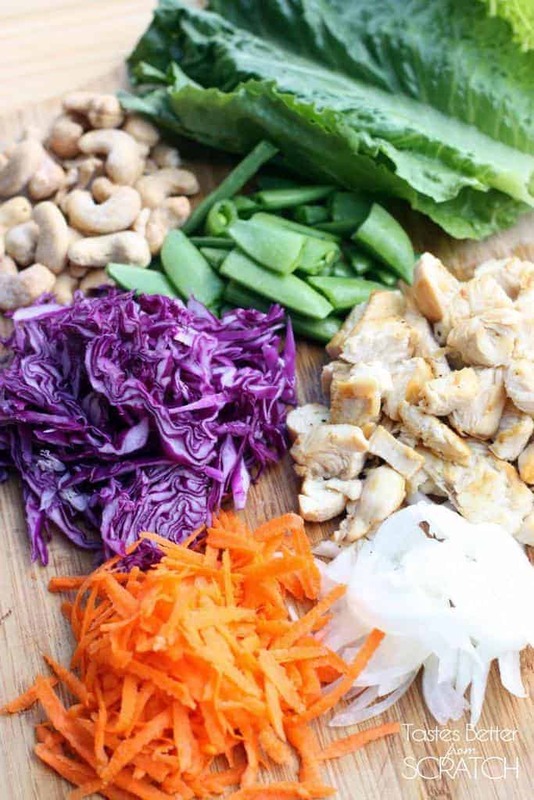 To a large mixing bowl add cooked and chopped chicken, cabbage, onion, cashews, and snap peas and toss together. Drizzle dressing over the top and toss to combine. Lay one romaine leaf onto each tortilla. Top with a big spoonful of chicken/cashew mixture. Roll into a wrap and secure with toothpicks, if necessary. These are incredible! Craving one now! Cashews are one of my favorites foods 😛 So anything with cashews! This are absolutely positively divine! I just had one with creamy balsamic dressing and it was really fresh and wonderful. I used the extra to back a salad for tomorrow. Thanks for this amazing receip! Thanks so much Jessica! I’m so happy you liked them!